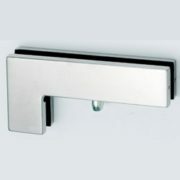 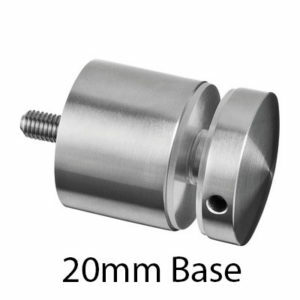 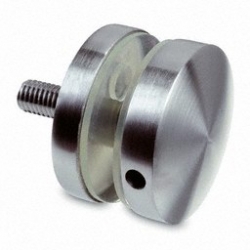 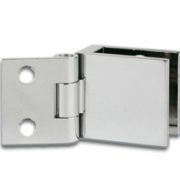 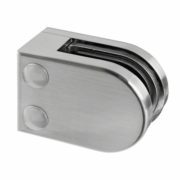 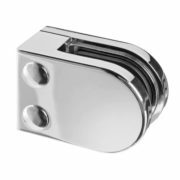 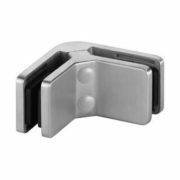 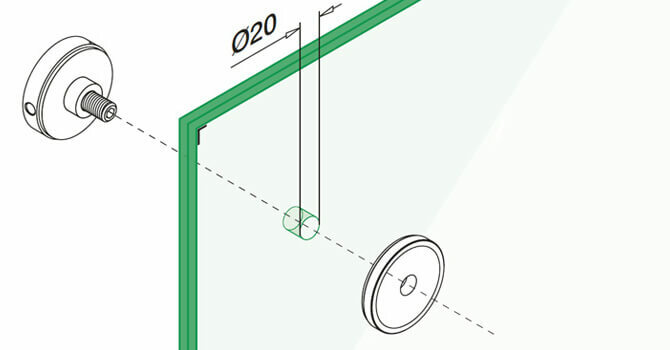 304 Grade Stainless Steel Glass Adapter for interior use, suitable for 8-19mm glass thickness. 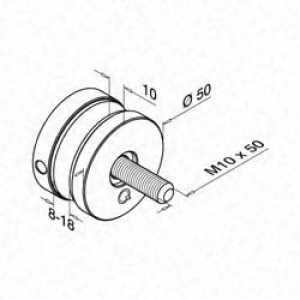 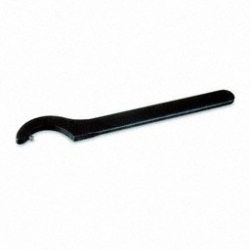 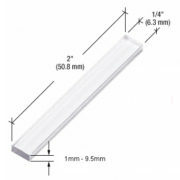 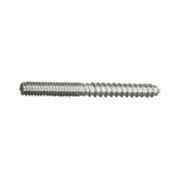 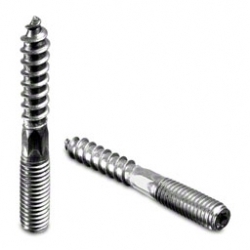 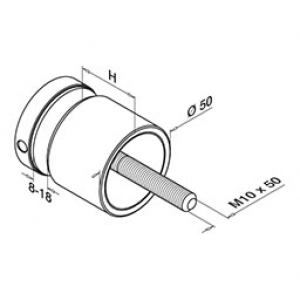 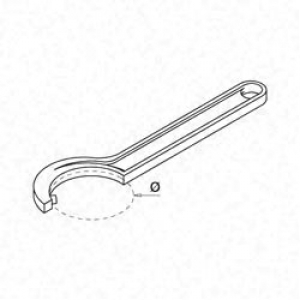 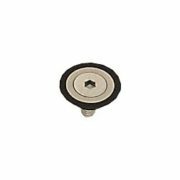 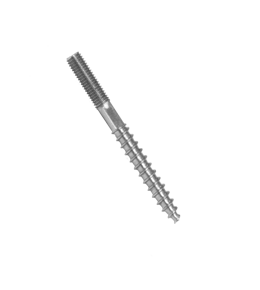 For Square Tube of flat surface, supplied with a M10 x 50mm Screw Stud that can be removed to fit a longer stud or wood dowel. Requires a 20mm hole in the glass.